This is the second installment in Orbits Over Luna’s Japan series of EP’s. The music is influenced by a trip made to Japan. The first EP, released in 2012, sets the scene for the trip. the second EP sets the scene even further. I enjoyed the first release and this second release is as equally enjoyable, and maybe even more enjoyable than the first. 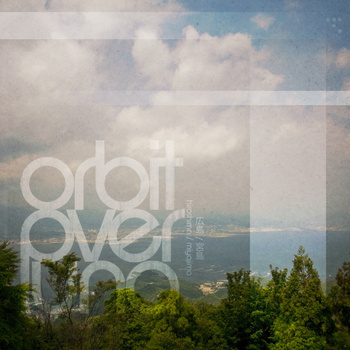 Orbit Over Luna played all the instruments on the first release but this one has a few guest musicians, Andrew Tasselmeyer (The Sound Of Rescue) plays bass on Track 2 and Andy Othling (Lowercase Noises) provides guitar on track 5. There are 5 tracks coming in at just over 25 minutes in length. The music is a mixture of ambient/post-rock and is of the highest calibre. Not many artists can actually pull off this mixture of genres with great success. Orbit Over Luna seem to be able to strike a beautiful balance with the music, nice mix of soundscapes, guitars, rythmic percussion and a spattering of field recordings. I am not sure if this is the last in the Japan series, but I do know that he has been to Europe recently so maybe there are more different sounds to come from this artists travels across the globe. I guess time will tell on that one. This entry was posted on April 24, 2013, 9:49 pm and is filed under Playlists. You can follow any responses to this entry through RSS 2.0. You can leave a response, or trackback from your own site.